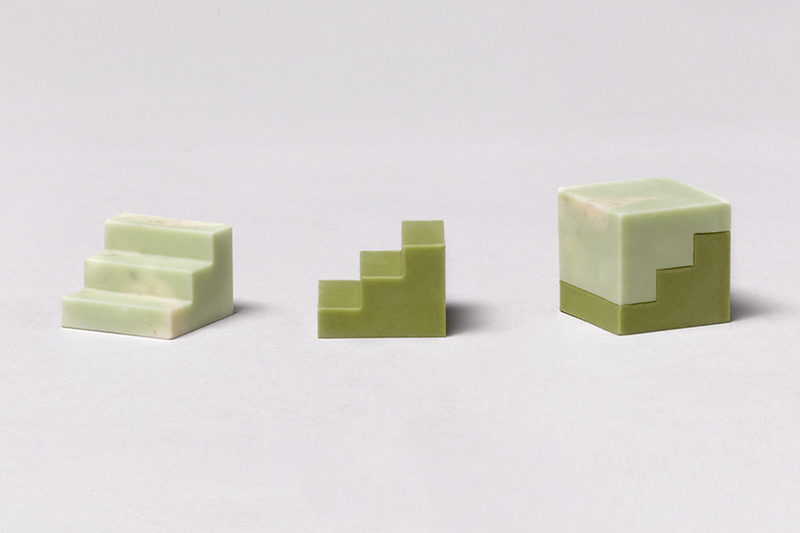 if heart-shaped candies aren’t your style this valentine’s day, then consider these architecturally-inspired, modular chocolates designed to pair and share. 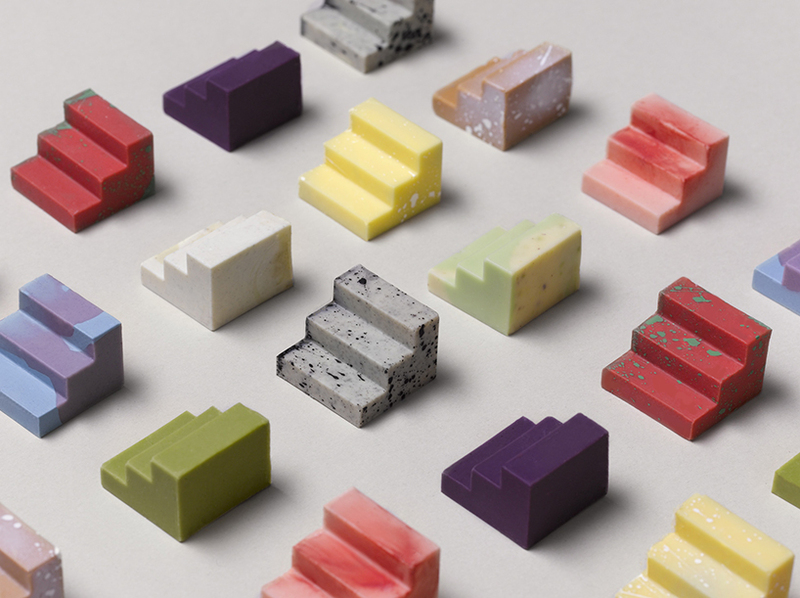 wanting to create something out-of-the-box that could be arranged in endless an endless array of colorful and flavorful combinations, sydney-based digital agency universal favourite teamed up with nearby bakedown cakery to create ‘complements’. 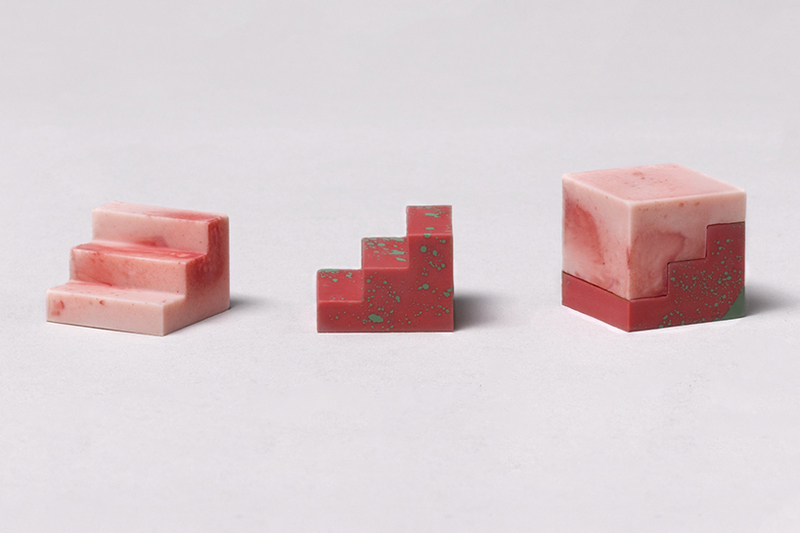 tastes like shortbread, blackcurrant, watermelon, pistachio and lemon can be seamlessly stacked and locked together to form surprising and sophisticated flavor-ways. 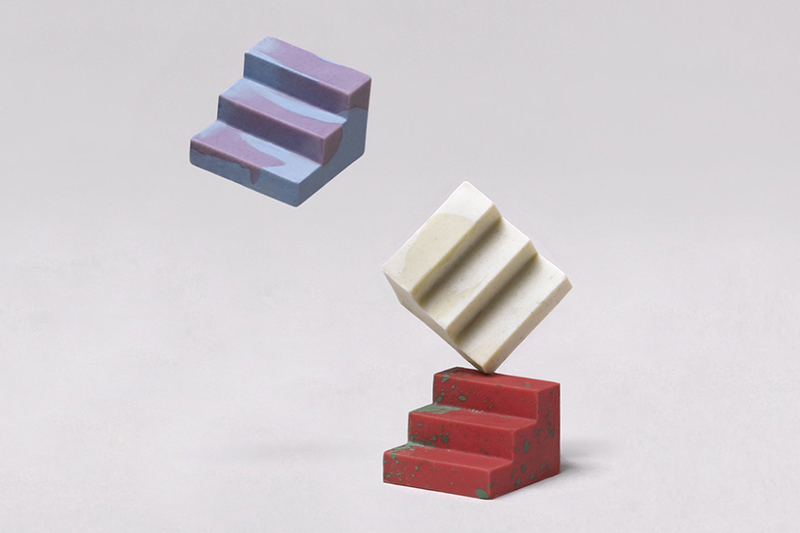 working on the concept, design and development of complements, universal favourite created a modular staircase shape that was 3D printed into positive forms. this shape was then turned into molds by bakedown cakery, and filled with a variety of chocolate colors, finishes and patterns. 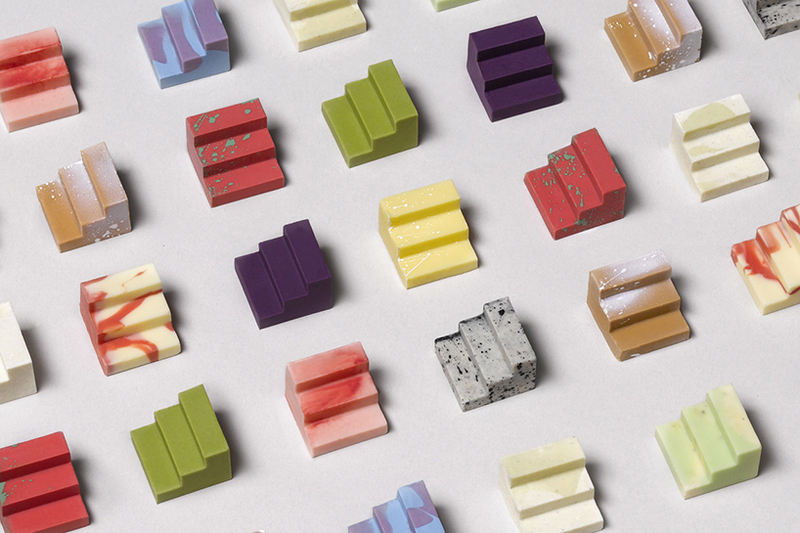 each food flavor bears a completely unique ‘façade’, creating a spectrum of sequences to sample, share, and stack. 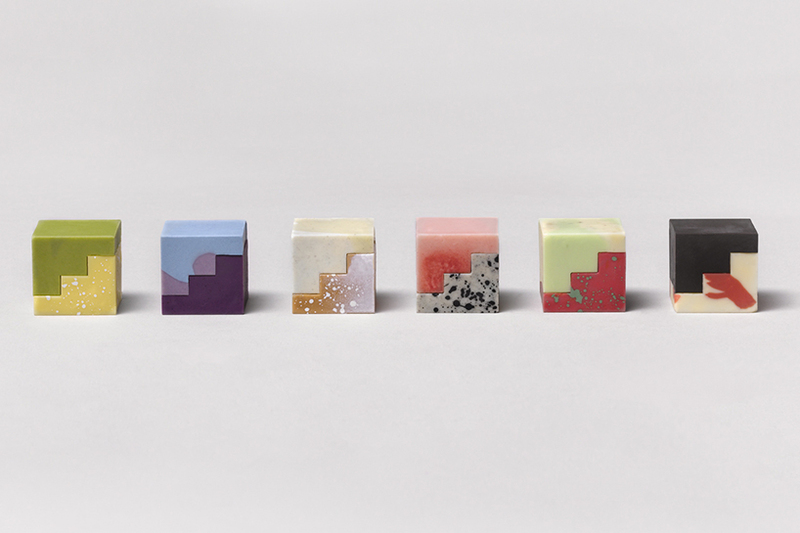 while the first run of ‘complements’ was created solely as specialty gifts for universal favourite’s design clients, the brand is looking at making them available for sale.